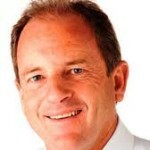 The demise of David Shearer can be placed firmly at the feet of his media training and presentation skills. The problem he had was that 99 percent of the population only ever saw him on Television. That’s the reality for political leaders these days, so if you don’t present well on TV, you’re doomed to fail. We always highlight the importance of body language to our media training clients. If your actions and tone of voice don’t match the words coming out of your mouth, people will not warm to you. While I believe Shearer has shown some improvement recently, he was still not warming to voters. He came across as too serious and not in total control of what he was saying. A big reason for John Key’s popularity is that his body language does match his message. The best example lately was his interview with John Campbell last week. While under pressure, he still communicated his message calmly with a smile on his face. This is something Shearer could not do. Nor could his predecessor, Phil Goff. Shearer may have been fantastic behind closed doors. But in politics, the perception of voters is everything. That’s why media training and presentation skills are so vital. So who will replace Shearer? It has to be someone with the media training skills to warm to voters. Shane Jones clearly has that ability, but he is unlikely due to past deeds. Andrew Little looks too serious. So it’s between David Cunliffe and Grant Robertson. Cunliffe has the ability, but can come across as a bit arrogant. Robertson has shown some ability, but is still quite inexperienced. Time will tell.